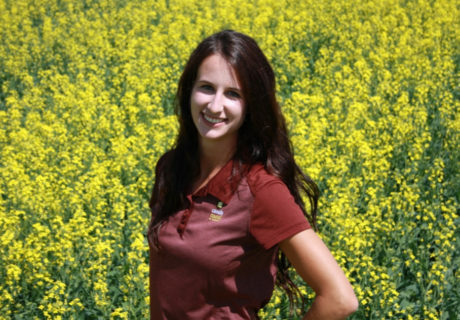 Justine Cornelsen is part of the Crop Production and Innovation Team with the Canola Council of Canada (CCC). Justine works from her hometown of Onanole as the Agronomy Specialist for the Western Manitoba region. Her lead topic with the CCC is blackleg management and she chairs the Canadian Blackleg Steering Group. She takes special interest in integrated pest management and sustainable production.